Reading stock trading books is necessary for every trader. Beginner traders and also experienced traders need to read fresh opinions and new ideas. Here below is a list of stock trading books I’ve read with my thoughts about them. I read some of these books regularly as part of my continuous and never ending stock trading education process. Although these books represent good starting point for stock trading training and technical analysis training, I think that it is also very good to read online stock trading newsletter with fresh ideas and stock market trading tips. Subscribe to my own free stock trading newsletter I publish many useful information based on my personal stock, ETF, commodity and Forex trading experience regularly. This is really a very good book for every beginner trader. Also more experienced traders will find many useful ideas. Although it can be a lot of information to read, I recommend it very much. Toni covers every aspect of trading from describing stock market basics to detailed descriptions of nice and simple stock trading strategy for swing stock trading. I especially like her breakout and pullbacks trading setups, which are also basics for my simple stock trading strategy. This book will not describe any specific stock trading strategy. But I like this book very much as it covers all details of stock trading business plan. How to create trading plan that allows you to be profitable trader in the long run. I think that every trader should have this book in his library and read it regularly. It is really one of the best stock trading books. This book covers many aspects of trading for a living. I think that it places too much emphasis on psychology, but the author is a practicing psychiatrist. I recommend this book, especially the final part of the book describing the Triple Screen Trading System and Money Management. Here you can read description of this stock trading strategy and use it as inspiration for your own stock trading strategy creation. This book is “must read” book to learn the basics of candlestick charting. Every trader using charts and technical analysis must read this book. I bought it several years ago, and it’s a book that I like to reread every year. It helps me to burn candlesticks basics and candlesticks interpretation into my brain. There’s a lot of theory in this book, but when you study your own charts and use the knowledge from this book, you’ll recognize why it’s so important to read, and you’ll have an “aha” moment. Well this book is huge. 500 pages. But it is worth of reading. One of the best stock trading books. It will show you how to improve your trading or investing process to generate much more money. This book is full of conversations with most successful traders and investors – with hedge fund managers managing their and client’s money. If you are short term trader or mid-term investor, you will find person with similar approach here. These people discuss also what are most important aspects of trading/investing from their point of view. Reading of these interviews is really good way of education for stock traders. Trading is also about psychology and emotions. I definitely agree that it’s not a problem to pick up trading. The most complicated part of how to trade is management of trades, and this book can help every trader a lot. The emotions and how to control them – it is also important issue you can read in this book. One of very usable and recommended stock trading books. 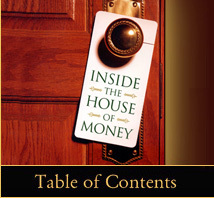 It’s really a good book for everybody who’s interested in what the leading hedge fund managers know. All interviews are very friendly, no super-hero stories. It’s very inspirational reading. I like to read how these minds are thinking, what their approach is to financial markets, etc.